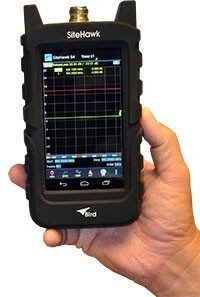 As a global supplier and leader in the industry, Bird Technologies sets the standard in RF communications, with a heavy focus on providing the most reliable, field tested products possible to ensure the quality and performance of your RF delivery systems. Bird equipment is built to last, and designed to reliably excell in accuracy and precision even in the most challenging situations and conditions. As a premier Service Partner, we not only have Bird Certified Technicians ready to help you design and deploy a BDA Distributed Antenna System customized for your needs, but we also offer extensive, Fire Department approved testing options for your already-installed BDA systems (regardless of brand!) at reasonable price points. Our BDA testing services are widely available to organizations in the Pacific Northwest, but we may also be able to travel in the US to do projects on a case by case basis, depending on your needs. Call on our expert technicians for everything from site optimization services to calibration and repair. Signal Boosters, also known as Bi-Directional Amplifiers (BDA) use a Distributed Antenna System (DAS) to extend the coverage range of radio systems (RF, Radio Frequency) in places where reception is bad. People usually want BDAs to improve cellular coverage, but they are also often mandated for first responder two-way radio operation. Bird's Signal Booster equipment and high-quality Distributed Antenna Systems are ideal for a wide range of applications for both commercial and residential sites, from supporting public safety and security efforts to measuring and testing for wireless, cellular, and telecom networks. Typical scenarios that need RF signal boosters are highrises, buildings with underground floors, tunnels, subways, caves, mines and other difficult terrain. People usually want BDAs to improve cellular coverage, but they are also often mandated for first responder two-way radio operation. In fact, in recent years, many municipalities, including Seattle and Bellevue, WA, require first responder BDAs - sometimes referred to as Rescue Lines - for any new or renovated buildings, because it is absolutely crucial that first responders are able to communicate via radio frequencies in an emergency. your RF delivery systems. Bird equipment is built to last, and designed to reliably excell in accuracy and precision even in the most challenging situations and conditions. As a premier Service Partner, we not only have Bird Certified Technicians ready to help you design and deploy a BDA Distributed Antenna System customized for your needs, but we also offer extensive, Fire Department approved testing options for your already-installed BDA systems (regardless of brand!) at reasonable price points. Our BDA testing services are widely available to organizations in the Pacific Northwest, but we may also be able to travel in the US to do projects on a case by case basis, depending on your needs. Call on our expert technicians for everything from site optimization services to calibration and repair. Contact us today for a free consultation! Contact Us for Certified Testing All Bird TX/RX BDA/DAS RF Signal Boosters Test Equipment - Radio All Products Index in Alphabetical Order Signal Boosters, also known as Bi-Directional Amplifiers (BDA) use a Distributed Antenna System (DAS) to extend the coverage range of radio systems (RF, Radio Frequency) in places where reception is bad. People usually want BDAs to improve cellular coverage, but they are also often mandated for first responder two-way radio operation. Bird's Signal Booster equipment and high-quality Distributed Antenna Systems are ideal for a wide range of applications for both commercial and residential sites, from supporting public safety and security efforts to measuring and testing for wireless, cellular, and telecom networks. Typical scenarios that need RF signal boosters are highrises, buildings with underground floors, tunnels, subways, caves, mines and other difficult terrain. People usually want BDAs to improve cellular coverage, but they are also often mandated for first responder two-way radio operation. In fact, in recent years, many municipalities, including Seattle and Bellevue, WA, require first responder BDAs - sometimes referred to as Rescue Lines - for any new or renovated buildings, because it is absolutely crucial that first responders are able to communicate via radio frequencies in an emergency.